Mail and Parcel Contractors Want to be a mail contractor? POAAL has prepared this short guide for people considering tendering for or taking over a mail contract. A mail contract is a contract to deliver mail (or parcels, mail bags, or consignments) on behalf of Australia Post. There are over 3000 Mail Contractors operating about 5,500 mail contracts across Australia. Mail Contractors form a significant part of Australia Post’s delivery network. Australia Post has engaged contractors to deliver mail and parcels for many years. Some Mail & Parcel Contractors have employees or subcontractors. Many operate on their own. Mail Contractors own or lease their own vehicles. Some are based in Australia Post owned and operated facilities, while other work from Licensed Post Offices. To become a Mail Contractor, you must either be successful in tendering for a mail contract or be assigned an existing mail contract. When a mail contract is transferred from the incumbent mail contractor to a new mail contractor the process is known as assignment. The Australia Post manager who is responsible for the mail contract will conduct an interview with the mail contractor and the person who is proposing to take over the contract for the balance of the term. Australia Post has the final decision on whether or not the assignment will take place. The proposed contractor has to prove to Australia Post’­s satisfaction that they are capable of performing the contract itself as well as passing a security check. Australia Post will not give you information on payments made to the current mail contractor. The current mail contractor should give you this information. Australia Post advertises mail contracts for tender on its website and in local newspapers. If you are tendering for a mail contract, the tendering process is outlined in the tender documentation sent to you by Australia Post. It is a competitive tendering process. Carefully complete the required documentation. Remember: Australia Post is not compelled to accept the lowest tender. And nor should the Contractor subsidise Australia Post by tendering too low. As any good lawyer will tell you, read and understand the mail contract before you agree to it! The specifications section of the contract details the daily timetable for sorting and delivery, anticipated mail volumes, and so on. The general conditions specify the compulsory insurances and the term of the agreement, along with details on mail contract reviews. You may choose to seek legal advice on the contract. Australia Post will not give you information on payments made to the current mail contractor. How long is it until the contract expires? Contracts may be for a period of up to five years. At the end of the term, Australia Post will publicly re-tender for the mail service. There are very few non-specified term mail contracts. These types of contracts may be terminated by either Australia Post or the contractor with three months notice. Australia Post does not acknowledge any goodwill attached to a contract. Australia Post has made it clear that it will not be bound by any claim made against it in respect of a loss of goodwill by those who choose to pay for this as part of a mail contract purchase price. Clause 16.1 of the mail contract states as such. It is commonplace for Australia Post to demand that mail contractors be an incorporated company. If, in order to take over a mail contract, you purchase the company, you should be aware that Australia Post may still demand that any persons undertaking the mail contract must satisfy the security check requirements set out under the contract. Other significant documents that impact upon mail contracts are the Mail Contract Management Manual and the Post Guide. The Mail Contract Management Manual is a guide for Australia Post to manage mail contracts, and details the procedures for making alterations to mail contracts and other such tasks. The Post Guide includes information on what sort of goods may be accepted for carriage by Australia Post as well as other information such as the placement of letter boxes. Australia Post will require the mail contractor to have a surety and contract performance bond. Refer to the mail contract for more information on the matter of surety and contract performance. The general conditions of the mail contract contain clauses which specify which insurances are compulsory for the contract. Typically the compulsory insurances include Public Liability insurance, Marine Cargo (goods in transit) insurance, Personal Accident insurance, V-Sort sorting frame insurance and PDT (hand-held scanner) insurance. 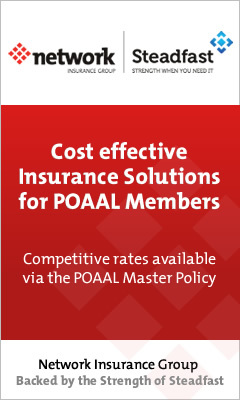 POAAL offers a Master Policy for these insurances to its members. 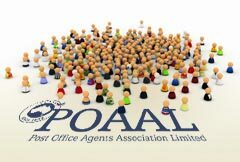 Contact the POAAL National Office on (03) 96544533 for more information. For quotes and information on other insurances, including vehicle insurance, directors & officers insurance, home & contents insurance and workers compensation insurance, contact Network Insurance Group on 1300 881 229 (Melbourne callers: 03 8420 8700). Take care when preparing your tender cost statement, because the information you use will form the basis for future price reviews that take place under the terms of the mail contract. Pay close attention to the fuel price you submit. Make sure you include all operating costs and that you take all reasonable steps to estimate maintenance costs (including tyres) for your vehicles. Don’t just guess! When you lodge your tender price, make sure that you will not be losing money. Ask yourself: is it worth winning a mail contract if you never make any money performing the mail contract? Check all the facts presented in the Australia Post tender information pack. Drive the route. Count the delivery points. Measure the distance. Check the quality of the roads – is the vehicle appropriate? Before signing any contract or submitting a tender, it is well worth considering seeking professional advice from your solicitor and your accountant.